In a 1994 article, "Mirror Image: How the PLO Mimics Zionism," I documented how Palestinians have repeatedly imitated the Zionist movement. "Muslim Zionism" followed this up in 2006 with a specific look at Palestinian attitudes toward Jerusalem. Here follow updates on this theme of Palestinians as the Doppelgängers of Israelis. provides the gift of first time, peer group, educational trips to Israel for Jewish young adults ages 18 to 26. Taglit-Birthright Israel's founders created this program to send thousands of young Jewish adults from all over the world to Israel as a gift in order to diminish the growing division between Israel and Jewish communities around the world; to strengthen the sense of solidarity among world Jewry; and to strengthen participants' personal Jewish identity and connection to the Jewish people. to gather first-generation, western-born Palestinians (over the age of 18-years old) in their ancestral homeland, so that they can reunite and witness firsthand how their brethren are living under illegal Israeli military occupation. Is Jaffa about to become the Saudi Caesarea? 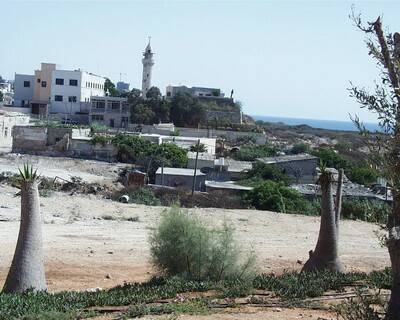 Yedioth Ahronoth recently learned that Arab moguls, most likely of Saudi origin, as well as various other Palestinian entrepreneurs, have recently been purchasing great quantities of prime real-estate in the Ajami neighborhood right on Jaffa's coastline. The property involved is in a rare, prime location not 100 meters (328 feet) from the beach front. The houses in question are neglected, some even scheduled for demolition, but their prime location affords them massive potential in the real estate market. In spite of growing demands for these homes, their owners, most of them impoverished, working-class individuals, refuse to sell their homes to Jewish entrepreneurs. Now, however, they appear willing to sell these very same homes to wealthy tycoons from Arab nations who are willing to pay millions of dollars, in cash, for this prime real-estate. ... "Before too long we will see villas and cottages lining the Ajami beach front," said a local resident and community activist. "The only question is how the Israeli authorities will respond to this new trend, and whether they will allow Arab millionaires with foreign passports to build their estates in Jaffa." Jaffa's Ajami neighborhood, soon to be transformed. The first planned city in Palestinian history. 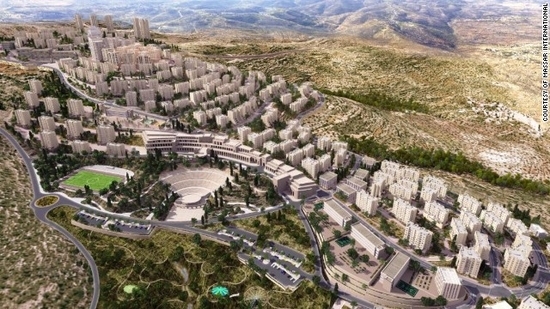 The first planned city in the West Bank to be inhabited by Palestinians rather than settlers. A city designed to be a Palestinian city of abundance - secular, open and vibrant. A city of pedestrian malls, cafes, kindergartens and schools. A city of thriving Palestinian start-ups and Palestinian yuppies. A city that will pave the Palestinians' way to the 21st century. ... Palestinians and Qataris are about to invest $800 million in an unprecedented initiative: About 6,000 housing units to be built in the city are designed to house 40,000 residents and provide jobs for 10,000 Palestinians. Developers say they drew inspiration from master-planned communities in the U.S., Dubai and — though they don't like to admit it — Israeli settlements built on West Bank territory that Palestinians hope to one day make part of their own state. July 5, 2010 update: Now, it's a currency, as described by Ziv Hellman in "The Palestinian 'Shekel'," The Jerusalem Report (not on line). In early 1948, ... David Ben-Gurion was adamant that the state he intended to found would have one of the prime symbols of a sovereign country as soon as possible - its own currency. He sent the Chairman of the Board of the Anglo-Palestine Bank an unequivocal order: print banknotes. and fast. With great secrecy, and before even knowing what the name of the new state was going to be, the bank (which eventually became Bank Leumi, but at the time was headquartered in London) found a company in New York that contracted for the printing of the first series of Israel's paper currency. Within about three months of the founding of the State of Israel, the banknotes were in circulation. Flush with recent economic success, officials in Ramallah have revived talk of taking another page out of the Zionist playbook, by contemplating the printing and circulation of a Palestinian currency. The idea is not new, and it remains very speculative, but a spate of articles have recently appeared in various media, quoting Palestinian Monetary Authority governor Jihad al-Wazir as stating that "the Palestinian Authority is considering introducing its own currency called the 'Palestinian pound'," harking back to the name of the British Mandate banknote that was replaced on Ben-Gurion's orders in 1948. "presented himself as a wealthy real estate agent who is seeking to purchase lands. He said he would like to purchase hundreds of acres of land, no matter what they have been designated for. He wanted to purchase whatever was available." Only after long inquiries by Cohen was the agent's true purpose revealed: he was seeking to purchase lands in the name of a Saudi sheikh who wishes to "reclaim lands" [from the infidels, ed.] as the agent put it. Cohen said that during the course of the conversation, the so-called "real estate agent" proceeded to offer a bribe. "All of a sudden he told me, 'I can make you a rich man.' I asked him, 'What do you mean? I have enough money.' He told me that he could make me a rich man and that he had more than enough money to do so. 'Listen', he said, 'we're talking about big money. You will be a rich man.' I continued to question him and then he told me that he is a representative of Sheikh from Saudi Arabia who redeems land." Cohen removed the agent from his office. He added, however, that he knows of attempts by the same individual as well as others to buy lands in places such as Kfar Tavor, Yesud HaMa'ala, and other northern towns. "I heard that he was successful in Rosh Pinna and in Merhavia, but I'm not certain [if this is true]," said Cohen, and added that the offers that were received were in sums that were "twice or even three times higher than the price [of the lands]. It is a huge temptation for those who are undergoing financial difficulties." Cohen believes the Arab buyers have purchased several parcels of land and registered these "in the name of an Islamic organization that most likely belongs to a northern branch of the Islamic Movement." He called on the parliament to address this issue "before we lose this country." The Palestinian people in the Holy Land are looking to their brothers and sisters in the diaspora and to the rest of the world to share this important message: you need to be part of our historic process of institution building. Invest some portion of your resources in the future of Palestine. We do not need single-impact acts of philanthropy. Jan. 2, 2010 update: The "Palestine National Orchestra" made its debut with concerts in Ramallah, eastern Jerusalem, and Haifa, playing under a banner proclaiming "Today an orchestra, tomorrow a state." The 40-member orchestra had, according to Agence France-Presse, "full houses and enthusiastic audiences," for whom it played Mozart, Ligeti, and Beethoven – after, of course, starting off with the Palestinian anthem. So many first-desk musicians are playing in it that critics expect the Palestine Symphony to rank soon among the first four orchestras in the world. Apr. 2, 2011 update: I just became aware of another Doppelgänger: The National Council of Presidents of Arab-American Organizations, an organization that came into existence about 1980 and ineffectively faded soon after, is a direct emulation of the far longer-lasting and important Conference of Presidents of Major American Jewish Organizations, founded in 1956 and going strong. The underlying reason for the Palestinian economic turnaround of the last few years, with real GDP growth estimated at a whopping 9 percent in 2010, ultimately lies [in] a virtual revolution in the approach to running an economy at the highest levels of the Palestinian administra­tion in Ramallah. The death of Arafat in late 2004 played no small part in that. Arafat, the leader of the PLO and presi­dent of the Palestinian Authority from its inception in 1994 and until his death 10 years later, was fundamentally an "old-school revolutionary" in ideology and tem­perament. This had critical implications for his approach to institutions and economic management. He opposed initiatives for the institutionalization of Palestinian rule, based both on an argument that the creation of institutions that were too stable prior to the creation of a Palestinian state would dull fervor for the fight for Palestinian national­ism, and because his grip on power depend­ed to a large extent on bureaucratic chaos preventing the emergence of authorities independent of him. Transparency and accountability were foreign concepts for Arafat, who ran an economy with built-in corruption based on patronage, monopoly-controlled industries and well-oiled kick­back channels that trickled up bribes all the way to his cash-rich office. Salam Fayyad, imitator of David Ben Gurion. 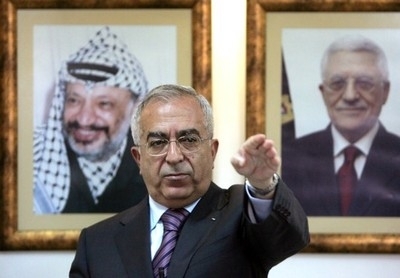 The prevailing attitudes of the Palestinian Authority under Salam Fayyad as prime minister and finance minister since 2007 are so much the antithesis to previous Palestinian approaches that they have come to be regarded as a full-fledged political agenda, termed "Fayyadism." Fayyad, who holds a PhD in economics from the University of Texas at Austin and has worked at the Federal Reserve Bank of St. Louis and the IMF, came to his position with a completely different background from those of old-guard PLO fighters, leading to a correspondingly different approach. The new Palestinian strategy was partly born from studying what Zionism got right and the Palestinian movement got wrong in the 1940s. Everyone remembers David Ben ­Gurion's famous founding of the State of Israel in 1948, but Haj Amin al-Husseini's declaration of an independent Palestinian state that same year has been relegated to the dustbin of history. The difference between the two lay in the fact that Husseini's declaration was just that — a dec­laration with no substantive state to back it. Ben-Gurion, in contrast, had all the working elements of a full-fledged state under him the day he founded Israel. In addition, waves of Jewish immigrants fleeing Europe in the 1930s and 1940s brought with them the know-how and understanding of running a modem economy. This meant that Israel began its exis­tence with economic advantages over neigh­boring Arab countries from the start. Fayyad and his staff came to the conclu­sion that instead of holding back the Palestinian liberation fervor, the slow and steady establishment of institutions was an essential requirement for attaining an inde­pendent state and for winning a seal of approval from international bodies. Stability and security for Palestinian citizens was also stressed. At the same time, getting the Palestinian economy into working order by adopting Western standards of running a modem economy was, in this view, just as important for Palestinian aspirations. These views found concrete expression in a detailed working plan issued by Fayyad in August 2009 entitled "Palestine — Ending the Occupation, Establishing the State." The two-year plan envisioned significant con­struction of state-like institutions in the Palestinian Authority, Western-styled sepa­rations of powers and a free market-orien­tated economy with transparency and accountability. It also called for the develop­ment of infrastructure necessary for estab­lishing a de facto Palestinian state. Dec. 2, 2012 update: Palestinian Authority Chairman Mahmoud Abbas announced that "One day, a young Palestinian will raise the Palestinian flag over Jerusalem, the eternal capital of the state of Palestine!" The later formulation, of course, mimicks the Zionist phrase, "Jerusalem, the eternal capital of the State of Israel." Yitzkak Rabin in particular was fond of using it (see here, here, and here). Developers bristle a bit at any comparison to the settlements, saying they've been careful to put a Palestinian stamp on the city. Architecture is Arab-inspired with plenty of archways, terraces and balconies that evoke downtown Beirut. There are even narrow, winding alleyways snaking behind the shopping arcade to recreate the feel of an Arab souk. "But there are no red-tiled roofs and no gates," said Ramzi Jaber, commercial manager of the project, referring to common features of Jewish settlements. It sure looks like an Israeli town on the West Bank. Rawabi looks remarkably different from the typical Palestinian community. The city, which markets itself as environmentally sustainable, will have no water tanks on its roofs and will enjoy a centralized TV service to replace the ubiquitous satellite dishes of Arab urban centers. All of its infrastructure is being laid underground. When planning began for the city, Masri met with renowned Israeli-born architect Moshe Safdie, who took him on a tour of nearby Modi'in. "When searching for a model, we first looked at cities next door," Masri recalled. "Modi'in has similar topography and a similar climate to Rawabi." May 24, 2015 update: Declaring Jerusalem "the eternal capital of the state of Palestine" as Abbas did in December 2012 (see above) is one thing, but calling it the "eternal capital of the independent Palestinian state and the Islamic nation as a whole," as Ezzet Resheq of the Hamas Political Bureau just did, is quite another. Still, this enlargement too mimics Zionism, which always portrays Jerusalem as the capital of both Israel and the Jewish people wherever they are. May 16, 2016 update: The Palestinians even imitate national day practices. On the eve of Yom Hazikaron, the Remembrance Day for the Fallen of Israel's Wars and for Terror Victims commemorated on the fourth of Iyar (late April or early May,) a siren is sounded at 8 p.m., then again the following morning at 11 a.m. The country comes to a stop; as can be seen in videos, traffic stops as drivers get outside their cars and stand still, pedestrians stop moving, and nothing happens for two minutes. And now too the Palestinians. Today's Israel Hayom describes how in Ramallah on Nakba Day, "people stood still as a siren was sounded to commemorate the loss of Palestinian homes in the 1948 Israeli Independence War."